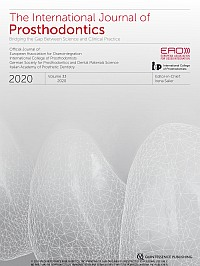 Prosthodontics demands a clinical research emphasis on patient- and dentist-mediated concerns in the management of oral rehabilitation needs. It is about making and implementing the best clinical decisions to enhance patients' quality of life via applied biologic architecture - a role that far exceeds that of traditional prosthetic dentistry, with its emphasis on materials and techniques. 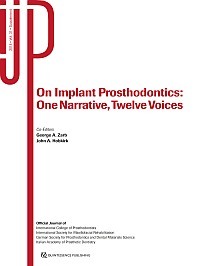 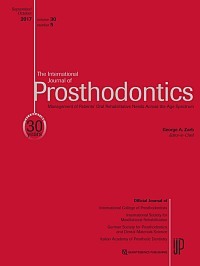 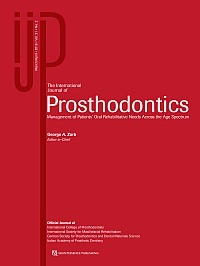 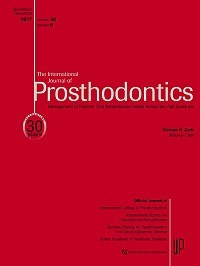 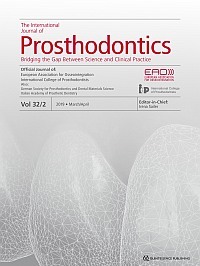 The International Journal of Prosthodontics is dedicated to exploring and developing this conceptual shift in the role of today's prosthodontist, clinician, and educator alike. 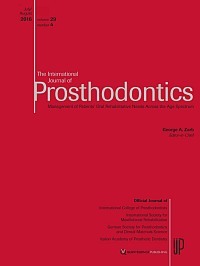 The editorial board is composed of a distinguished team of leading international scholars.